Before having kids my weight wasn't something that really bothered me, ok so I was curvy but I was happy with my weight. However since having James and Evelyn I have put on some weight and its something I am definitely not happy with. I have tried a few "healthy eating" type at home plans but I am so weak when it comes to temptation, I felt like I needed a bit of a kick start to my diet to see some results a little quicker to give me that boost and kick up the bum to stick with a diet. So when the lovely people at Exante offered me some of their shakes to try I thought this could be the kickstart I needed and I excitedly awaited my delivery. Exante is the UK's number 1 online meal replacement diet and is cost effective too, with meals starting at just 63p each it really can be accessible to everyone! Exante also has the biggest online range of products including lots of vegetarian options and with FREE next day delivery there really is no reason not to give it a go if you are thinking of losing weight! But if none of the flavours above take your fancy there are even more flavours available on the Exante website! 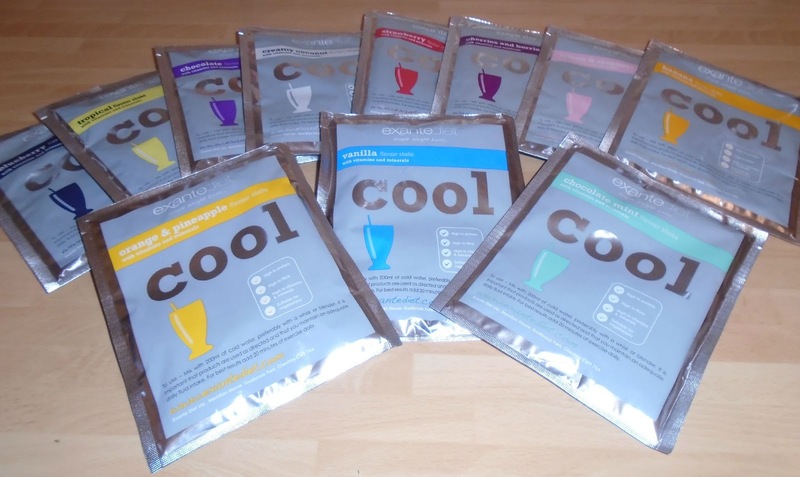 I was a bit apprehensive about using the shakes at first and wasn't holding out much hope for the flavour/texture as lets face it these are a powder mixed with water, however I was pleasantly surprised! One thing I will say is you really need a blender of some sort to make these shakes as without they are a little lumpy and don't seem to mix together properly. Made with the whisk the shakes thicken up quite a bit and have a real hit of flavour. 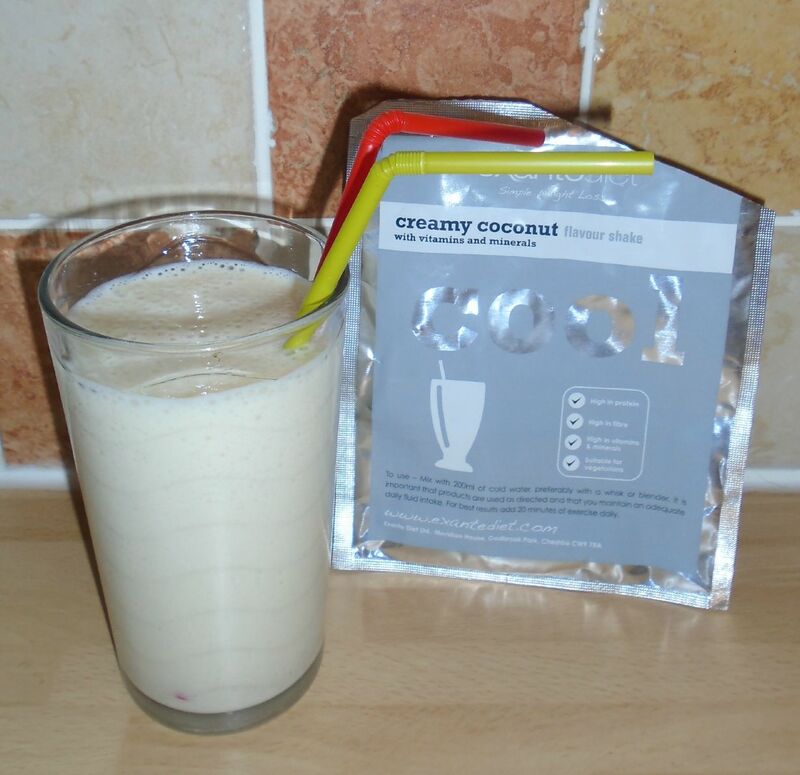 My favourite shakes have to be the chocolate (of course what girl doesn't love a chocolate shake on a diet!?) and the Lemon and Raspberry. I know this sounds obvious but the chocolate shake really tastes like chocolate which really surprised me for a diet shake. The Lemon and Raspberry is a must try as it has the punch of lemon and the sweetness of the raspberry which made for a delicious shake especially if you have a sweet tooth! 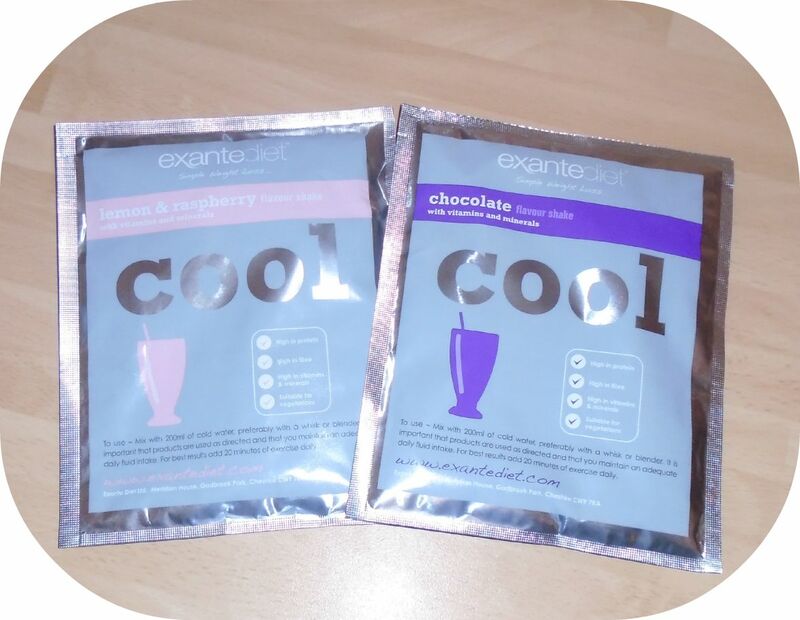 Exante don't just do shakes they also sell diet meals, diet soups and diet bars all to help in your weight loss journey. You can also buy Diet Packs which contain everything you need to follow the Exante diet for a set period of time which is a fantastic no fuss option. Exante even give you the option of a "pick your own" diet pack so you can choose what is included meaning you can make sure that it only contains things you like or like the sound of! Over all I am giving the Exante shakes a thumbs up. It was tough the first few days as I used these for breakfast and lunch and it was hard not having any actual food to eat but my body soon got used to it and I enjoyed picking out my flavours for the following day. I didn't follow the whole Exante plan as I only had the shakes to try but I would definitely consider trying more of the products in the future and following the diet plan more strictly as I think this could be the real boost and kick start I need to get my weight loss journey going. So if you are looking to loose weight what are you waiting for? Check out the Exante website here - www.exantediet.com. That looks amazing! And the flavours are so different I would love to try those, definitely checking their website and if you even said that you didn't felt hungry that's a plus because I can't defeat temptation as well. Thank you for the review! This could be great for me as a boost to start my new healthy living/ weight loss programme. Interesting :) I bought a blender to make fresh shakes and still can't get used to it :) It's waiting for me in the kitchen ehhe. These once looks very handy to use. I like the range of flavours but we don't have a blender so I think it will be a bit powdery. Will have to bear these in mind when i've finished ebf. the flavours sound yummy.Good luck on your weight loss journey.